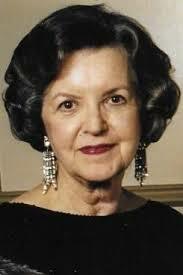 Former Junior League of Tulsa (JLT) President and devoted community volunteer Frances Herndon Chandler died on September 2, 2016 in Tulsa, Oklahoma. 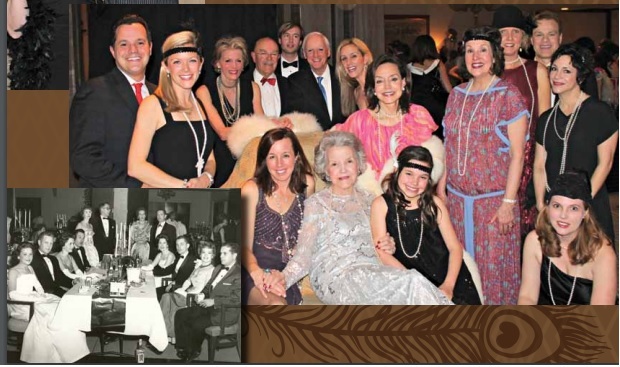 JLT honored Mrs. Chandler at its 90th anniversary Pearls and Prohibition Gala, calling her “one of Tulsa’s most celebrated volunteers and activists.” Pictured in the bottom left corner, from the Spring 2013 gusher, is a 1962 dinner dance hosted by Chandler for JLT held at Southern Hills Country Club. I may be- she’s my mother. But when it came to volunteering, this Southern woman and native Tulsan, who is 84, took them off to dig into the work of improving Tulsa. Her hazel eyes twinkle as she fingers through layers of sparkling beads and cascading fabric of the ball gowns she holds in her dainty hands…she’s saved [them] from memorable evenings spent with fellow members of the Junior League. And as Chandler’s once-white gown and gloves turn to a cream color, her memory of the Junior League remains as vibrant as ever.